Yesterday the company OnePlus officially unveiled its new flagship smartphone OnePlus 5T. As expected, a device with an almost edge-to-edge display of 6 inches and a new main camera module. As for differences, the new smartphone is almost the same as its predecessor in the form of OnePlus 5. It’s all the same appearance, slightly curved back of the device. From the point of view of physical dimensions, they are also identical. The only difference is that the “home” button, and part of the fingerprint scanner, now moved to the back of the device. Smartphone OnePlus 5T has a display with a diagonal of 6.01 inches and a resolution of 1080×2160 pixels. The ratio 18:9 that became a normal for the flagships of the end of 2017. As for the matrix display, the company calls it AMOLED Full Optic. The user can choose the color that he likes. There are two modes: sRGB – more balanced color, and DCI-P3 — for a more bright and saturated colors. There is also a special mode “sunlight”, where the brightness increases when hit by direct rays of the sun. Another difference from its predecessor is the camera. The apparatus has module dual main camera with a resolution of 16 MP + 20 MP. Sensor resolution front-facing camera – 16 MP, which will please fans of selfi. It is also worth noting that the smartphone supports unlocking with user’s face (similar to Face ID from Apple). This method of unlocking the device uses the front camera and looking for approximately 100 IDs in your face. Other features include a Qualcomm Snapdragon 835, which operates at a clock frequency of 2.45 GHz. The amount of RAM depends on the device version: 6 or 8 GB of RAM. Flash memory 64 or 128 GB. 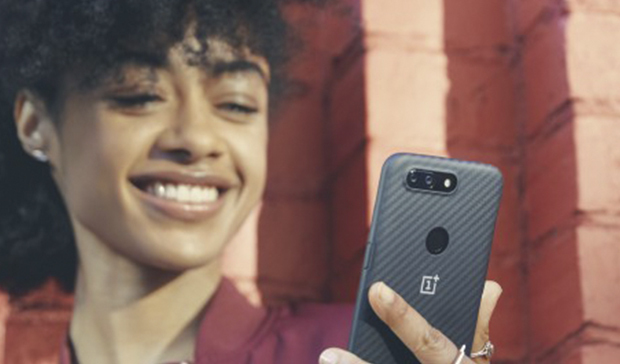 Smartphone OnePlus 5T supports two SIM cards, has a battery capacity of 3000 mAh, port USB Type-C and even a 3.5 mm Jack for your favorite headphones. The cost of OnePlus 5T with 64 GB of flash memory is only $500. As for me, for a smartphone with such characteristics, it is more than a democratic price tag. You are reading an article on the Smartphone OnePlus 5T officially presented. All materials on the site Gadgets F, а также и статья Smartphone OnePlus 5T officially presented - written for the purpose of information enrichment and we are happy if you like our magazine.